Children with multiple disabilities have a combination of various disabilities that may include: Speech, physical mobility, learning, mental retardation (MR), visual, hearing, brain injury, and possibly others. Along with multiple disabilities, they can also exhibit sensory losses and and behavior and/or social problems. 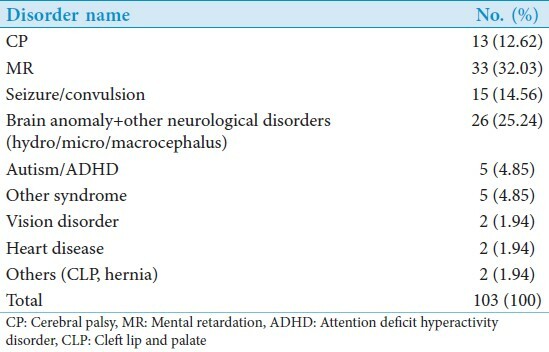 Children with multiple disabilities, also referred to as multiple exceptionalities, vary in severity and characteristics. The judgment that the clinician makes on children's hearing abilities, often necessarily involve a differential evaluation. Accurate hearing evaluations are difficult in children with multiple disabilities. Approximately, 25-33% of children with hearing loss have multiple potentially disabling conditions (Holden-Pitt and Diaz, 1998; McCracken, 1994; Moeller et al., 1990  ). This population requires modifications of diagnostic protocols as they are considered as difficult to test population. Brainstem evoked response audiometry (BERA). To come to a proper diagnosis, the audiologist needs to correlate all the information obtained from each modality of tests given above. As parents observe children closely and are able to judge hearing status formally; their impression about the hearing is important. But with children with multiple handicaps, they may relate lack of response to auditory stimuli to hearing loss, which may be actually due to associated handicap. A skilled audiologist will decide the hearing status on BOA/VRA based on subjective response of the client and this test shows poor test-retest reliability, and high inter- and intrasubject variability (Bench et al., 1976; Weber, 1969; Wilson and Thompson, 1984  ). In auditory brainstem response (ABR), under good recording conditions, visual detection levels of wave V are usually within 10 dB of behavioral audiometric thresholds for click stimuli. Sometimes due to neuromaturational delay, abnormal ABR recordings may be obtained. Whole test battery thus may show poor correlation among the different test modalities. A study conducted by Kae et al., 2003,  demonstrated coincidence between a secular change in ABR and the conditioned orientation reflex (COR) audiometry in 229 multiply handicapped children with motor disorders. Improvement in behavioral hearing testing minimum response level, including mental and physical development, was observed in 111 cases. There were 92 cases of ABR, and in 37 of them there was no correlation between the ABR and COR findings. The initial diagnosis in 44 patients was moderate to severe hearing loss, and a secular change was observed in 37 of them. The ABR thresholds and the COR minimum reaction level decreased in 11 patients, whereas in 17 patients, ABR thresholds remained unchanged and only the COR values decreased. The final diagnosis was moderate to severe hearing loss in 18 patients. The study shows the need of correlating different test modalities repeated over duration of time. Present study focused on the correlation of findings of different steps involved in the initial hearing assessment of children with multiple handicaps. To provide evidence if three steps of the tests, that is, parent impression, BOA/VRA, and ABR have a similar or contradictory findings. A total of 103 children with multiple handicaps less than 3 years of age, were selected, who were referred to CU Shah Institute of Audiology and Speech Therapy, Surendranagar for audiological assessment. The findings of all the steps involved in diagnosis of such population mainly parent impression, BOA/VRA, and ABR were correlated. Descriptive data analysis was performed. When parents' impression is correlated with the findings on BOA and ABR, we got the following results. Parents suspected hearing loss: 56, parents did not suspect hearing loss: 47, BOA confirmed hearing loss: 75, BOA rejected hearing loss: 28, ABR confirmed hearing loss: 56, and ABR rejected hearing loss: 47. Parent impression vs ABR: Both of these cases have shown similar findings on 55 cases, but have contradictory findings on 48 (46.6%) cases, out of which in 24 (50%) cases parent did not suspect hearing loss in their wards, but hearing loss was confirmed in them. 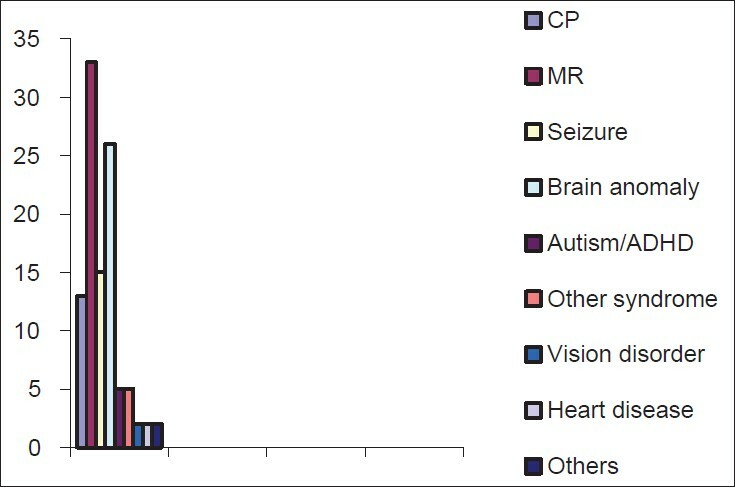 The findings clearly show in multiple handicap population that there is more number of children with MR and various steps involved in audiological assessment of this population show wide contradiction. The study point out that in children with multiple handicap need to be assessed thoroughly and the outcome may not be in correlation with each other. 1. Holden-Pitt L and Diaz JA. (1998). Thirty years of the annual survey of deaf and hard of hearing children and youth: A glance over the decades. American Annals of the Deaf, 143:72-6. 2. McCracken W. (1994). Deaf children with complex needs: A piece of the puzzle. Journal of the British Association of Teachers of the Deaf, 18:54-60. 3. Moeller MP, Coufal K and Hixson P (1990). The efficacy of speech-language pathology intervention: Hearing-impaired children. Seminars in Speech and Language, 11:227-40. 4. Bench J, Collyer Y, Mentz L and Wilson I. (1976). Studies in infant behavioral audiometry. Studies in infant behavioral audiometry. I. Neonates. Audiology, 15:85-105. 5. Weber BA. (1969). Validation of observer judgments in behavior observation audiometry. Journal of Speech and Hearing Disorders, 34:350-4. 6. Thompson G, Wilson W. Clinical application of visual reinforcement audiometry. Semin Hear 1984;5:85-99.